If you’re looking for a complete DIY solution to your room problems, this DIY bundle is for you. 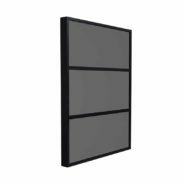 It contains the full construction build plans for the QD-11 Sound Diffuser, Acoustic Foam Panels and our BDA Broadband Diaphragmatic Absorber all in one package. Sound diffusion from 375 Hz. – 3,400 Hz. 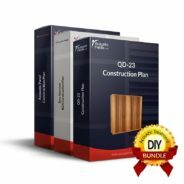 If you’re looking for a complete DIY solution to your room problems, this DIY bundle is for you. 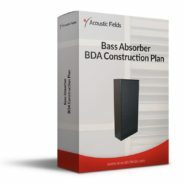 It contains the full construction build plans for the QD-13 Sound Diffuser, Acoustic Foam Panels and our BDA Broadband Diaphragmatic Absorber all in one package. Sound diffusion from 280 Hz. – 3,400 Hz. 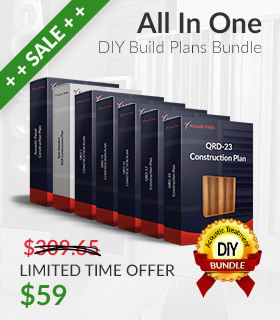 If you’re looking for a complete DIY solution to your room problems, this DIY bundle is for you. 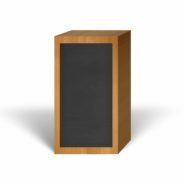 It contains the full construction build plans for the QD-17 Sound Diffuser, Acoustic Foam Panels and our BDA Broadband Diaphragmatic Absorber all in one package. Sound diffusion from 225 Hz. – 3,450 Hz. Sound diffusion from 185 Hz. – 3,450 Hz. Managing reflections from wall surfaces in larger rooms requires products that have large amounts of surface area to absorb those reflections. Another design requirement is that air must move across both sides of the technology. Air movement across both sides, reduces the amount of units and surface area required within rooms to reduce the energy level of the reflection. The vertical or horizontal orientations allow you flexibility in positioning the units to fit into existing room aesthetic and space requirements. Mounting hardware is provided.